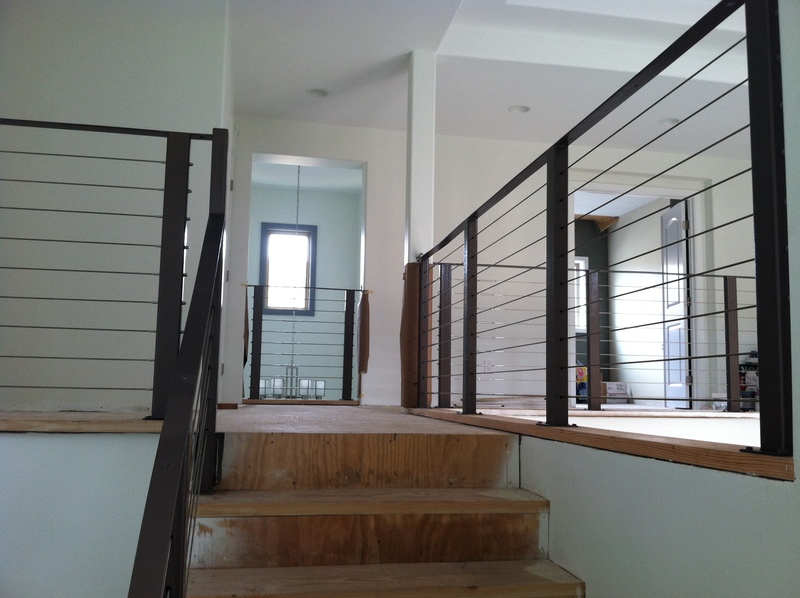 We just recently added a blog post about cable railing, but plus a short video about installing cable railing, so it was great to hear from a customer this week who installed some of our products in his new home and was kind enough to send us some pictures. 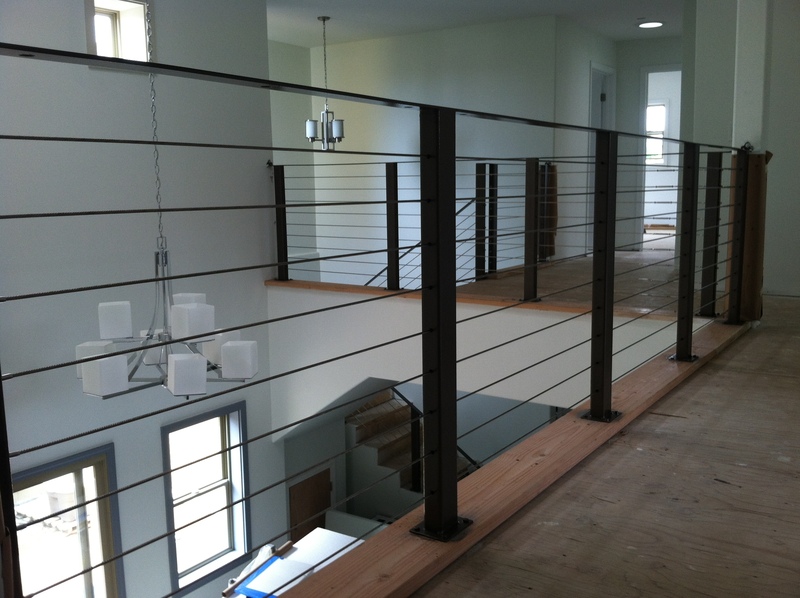 The great thing about our cable railing products is that kits are available to ensure all the parts and hardware are included, but pieces can also be ordered separately as needed. Dustin and Brennan on our sales team worked with this customer to make sure he had everything he needed. All of our assemblies are available in 1/8”, 3/16”, and ¼” diameters of stainless steel type 316 wire cable, in either a 1×19 configuration or a 7×7 construction. The 1×19 has a minimal stretch for a semi-rigid feel. It can be bent up to 45° if needed. The 7×7 wire is generally used for more decorative applications since it can be safely bent to angles greater than 45°. 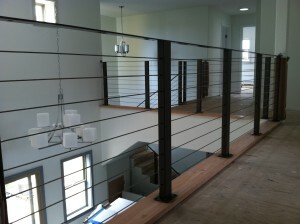 All of our cable railing can be maching swaged or hand swaged. 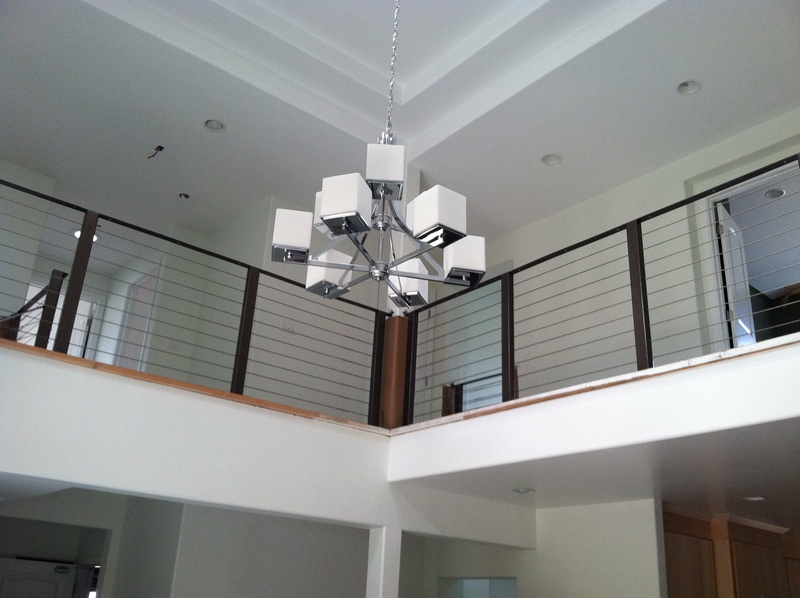 This customer used a 1×19 construction and purchased the hand swage tool and swaged them all himself. For more information, check out our cable railing products page or call our sales team at 888-794-0584.